← A NEW BEGINNING: It’s Raining in Oklahoma! Editors can be a tough lot. And sometimes they are right. But when they make you delete your darlings, it can be harder than you thought. That is what happened to me with Secrets of Sandhill Island. Two of my favorite (okay they weren’t my favorite until they were cut) chapters were slashed because they pulled away from the story line. Still I liked them. Here is an excerpt from a chapter that didn’t make the book. The Hurricane Hunters from the 53rd Weather Reconnaissance Squadron out of Keesler Air Force Base in Biloxi, Mississippi were on standby alert. Sandy had plans for the weekend and wasn’t happy about having to cancel them. She knew the kids would understand, but they were tired of their mom always being gone just when the weather got warm and school was out. The last time she ended up flying to the Hawaiian Islands without them, they weren’t happy. Off to Dad’s again, who worked as many hours as she did; they had no idea how much danger she could be in. She always downplayed it saying “just another trip to the Atlantic” (or Pacific) depending upon where the weather was this time. She was part of the crew of the Lockheed WC-130J Hercules which flew directly into the hurricanes to send back detailed information about the anomaly and gather data of how the storm would track. The squadrons had been flying missions like this since 1946 and everything would be okay – she hoped. But she was a scientist and couldn’t show fear, especially in front of the kids. That would be all it took for her ex to have her back in court again as soon as she was on dry land. The first time she flew into the eye of the monster she almost wet her pants. It was terrifying and exhilarating at the same time. She hoped to instill in her kids the kind of feelings of a job well done – a job you could really love – especially in her daughter, Carol. She was squeamish and clingy unlike her “tom-boy” mother had been at her age. But then her mother was not a product of divorce. Major Sandra Miller’s mother was a stay-at-home mom as well as her dad on many days. His job was the auto maintenance shop he owned downtown and his family came first. Many times he would just close the doors and let the customers wait while he announced they were going on a picnic if the weather was nice. Sandy and her sisters were always happy to go and loved climbing rocks and playing in the trees at the local park. But weather had always been Sandy’s first love. She would lay on the roof she accessed by climbing out her bedroom window and stare up at the puffy white clouds as they rolled overhead. Sometimes they weren’t white and fluffy though. Sometimes they were black and angry and then she loved them even more. They were like friendly ghosts one day and deadly monsters the next. Maybe that was why she loved them so much – they were like her. Her name had not been lost on her crew members who now called her “Hurricane Sandy” after the deadly nor’easter that tore through New York and the eastern shore. Her data was accurate and right on point like the hurricane she was nicknamed for. She was in her element in a hurricane and she didn’t know how she would live without the excitement someday when she was forced into retirement. But that worry was for another day. Today, she gathered information about the beautiful monster that was forming in the Gulf of Mexico. I’ve got to say, she knew what she was talking about. The book did flow better without those chapters. But I still liked them. Sandy was a strong character. Maybe she will make it into another story. 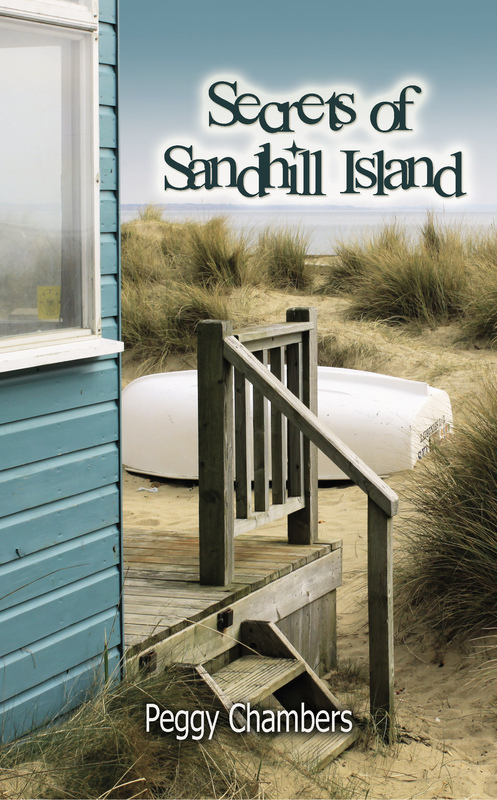 Secrets of Sandhill Island is available on Amazon in paperback or e-published and also for the nook at Barnes & Noble. Pick up a copy and leave me a review. Authors love reviews. Make an author happy and enjoy another world while you read. This entry was posted in Uncategorized and tagged Biloxi, deleted scenes, Hurricane Hunters, hurricanes, Keesler Air Force Base, Mississippi, Secrets of Sandhill Island. Bookmark the permalink. have to agree with Alice White, because Sandy could spark your next novel. Maybe a sequel to Secrets of Sandhill Island!